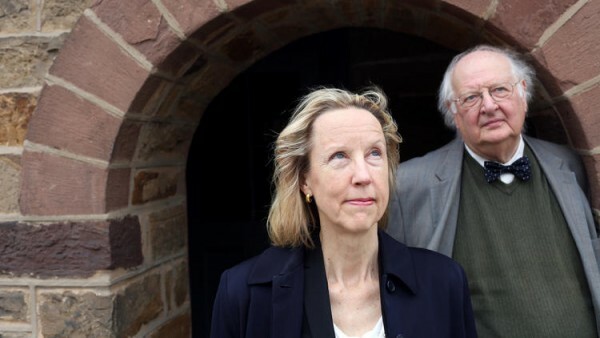 Anne Case and her husband Angus Deaton, both Princeton University economists, published a study late last year that drew national attention to rising mortality among middle-aged whites. Among African Americans, Hispanics and even the oldest white Americans, death rates have continued to fall. 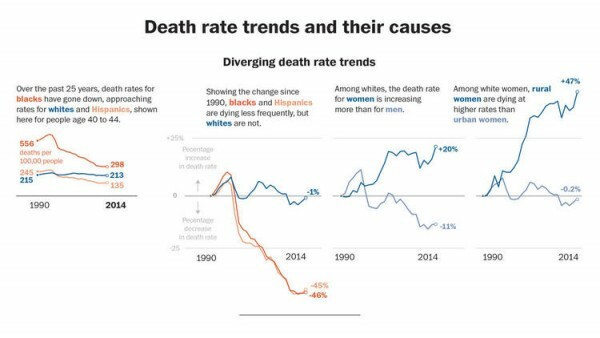 But for white women in what should be the prime of their lives, death rates have spiked upward. In one of the hardest-hit groups – rural white women in their late 40s – the death rate has risen by 30 percent. But progress for middle-aged white Americans is lagging in many places – and has stopped entirely in smaller cities and towns and the vast open reaches of the country. 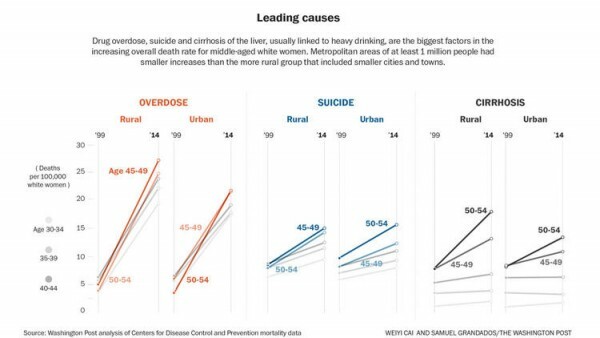 The things that reduce the risk of death are now being overwhelmed by things that elevate it, including opioid abuse, heavy drinking, smoking and other self-destructive behaviors. Public health experts say the rising white death rate reflects a broader health crisis, one that has made the United States the least healthy affluent nation in the world over the past 20 years. The reason these early deaths are so conspicuous among white women, these experts say, is because in the past the members of this comparatively privileged group have been unlikely to die prematurely. Big cities and their suburbs – metropolitan areas of more than 1 million people – looked strikingly different from the rest of the country. 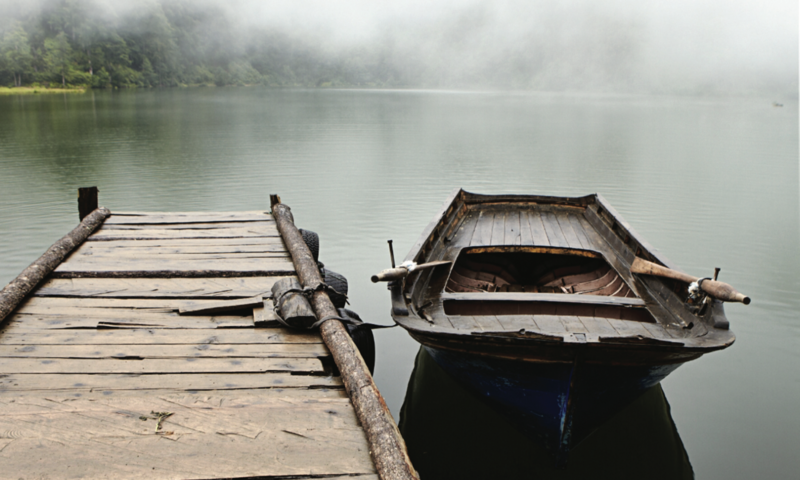 The Post divided these populations into urban and rural categories, with the rural population encompassing smaller cities as well as small towns and the most remote places. Beverly Layman, 58, died in March from complications due to liver failure. Layman’s liver failed as the result of long-term use of alcohol, painkillers, anti-anxiety medications and illicit drugs. She died two weeks before her 59th birthday. 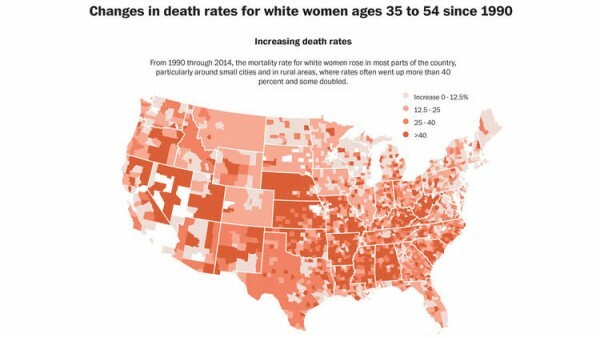 In the hardest-hit places – 21 counties arrayed across the South and Midwest – the death rate has doubled, or worse, since the turn of the century for white women in midlife. In Victoria County, Texas, a rural area near the Gulf Coast, deaths among women 45 to 54 have climbed by 169 percent in that time period, the sharpest increase in that age group of any U.S. county. 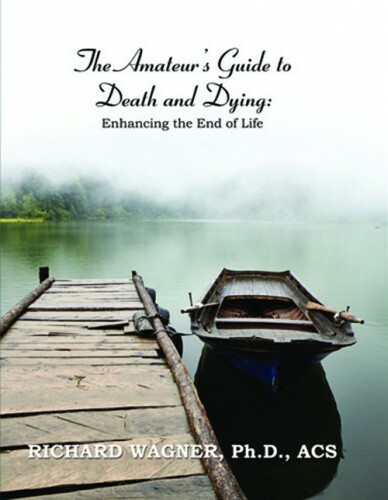 The death rate climbed from 216 per 100,000 people to 583. Lisa Campbell, medical director for the Victoria County health department, said a third of adults in the county are obese, roughly in line with the national average. Also, 1 in 5 smokes – well above the national average – and people can still light up in restaurants and other public places. 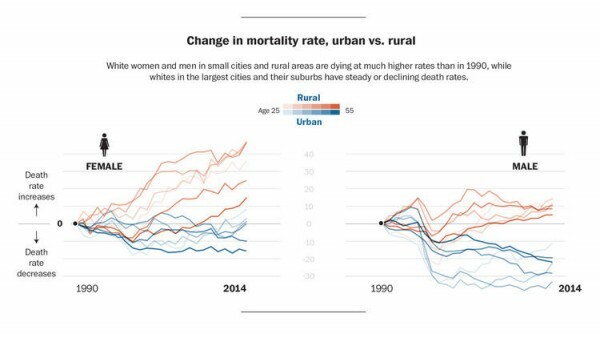 Catlin is co-director of a program, sponsored by the Robert Wood Johnson Foundation, that has found a growing divide between urban and rural health consistent with The Post’s findings – and implicitly consistent with Case and Deaton’s, since whites are a large majority in most rural areas. Researchers point out that this generation of white women has experienced a revolutionary change in gender roles over the past half-century, surging into the workforce while typically retaining traditional duties as domestic caregivers – a dual role to which many women of color have long been accustomed. White women often find themselves harried in ways their grandmothers could never have imagined. Members of the St. Louis Regional Heroin Initiative prepare to execute a heroin raid on a residential property in Saint Peters, Mo. Some regions are hit especially hard, such as the belt of poverty and pain that runs across the northern tier of the South, incorporating much of West Virginia, Kentucky, Tennessee and Arkansas. 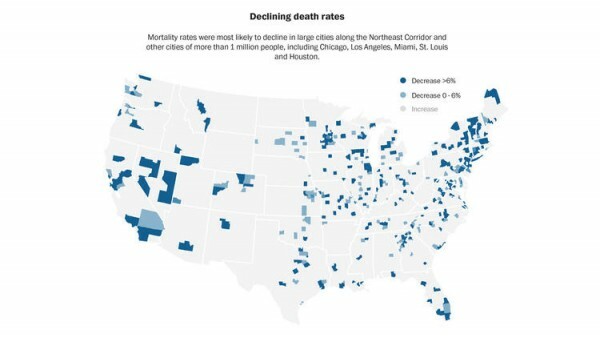 But significant increases in white mortality also showed up in the small-town and rural Midwest – such as Johnson County, Iowa, home of the University of Iowa – and in parts of the American West, such as Nye County, Nev., and Siskiyou County, Calif.
Men feel these forces, too. The Post found a sharp rise in mortality among men 25 to 35 – a prime age for overdoses. An older generation has also stumbled: The Post’s analysis showed that, since 2008, when the nation descended into the Great Recession, the death rate for white men 55 to 64 has marched upward. Compared with a scenario in which mortality rates for whites continued to fall steadily after 1998, roughly 650,000 people have died prematurely since 1999 – around 450,000 men and nearly 200,000 women. In Bakersfield, Calif., a small city in heavily agricultural Kern County, Samantha Burton, 42, was addicted to painkillers for a decade but has been clean for more than two years. She said her problem started with a prescription for Percocet after she got a bad case of food poisoning. Predominantly white, working-class areas with high death rates have proved to be fertile ground for Trump. Political observers speculate that the voter anger driving his campaign emerges from the many distresses felt in these economically challenged – and increasingly morbid – places. 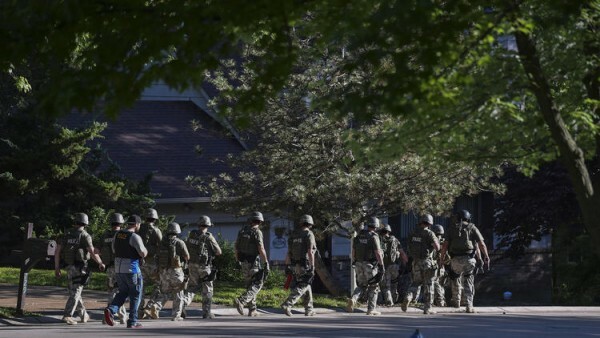 The wave of lethal agents rolling across the country is broad in its effects, but it appears to be cresting in places that are particularly vulnerable – such as a town where the trains no longer stop, or a small city that saw its biggest manufacturer move overseas, or in a household broken by divorce or substance abuse or tragedy. Next PostNext Pet euthanasia: Better a week too early than a day too late?